Dogs Before And After They Were Rescued By Their Owners. Homeowners Surprised To Find Out Their New Home Came With A Long-Time Tenant. 20 Oddly Satisfying Photos To Satiate The Perfectionist In You. Are you one of those people who freak out when they see a lot of clutter? If you do, then you’ll definitely find these next couple of photos extremely calming. They’re satisfyingly perfect! Now, some would say that it’s impossible to attain a true state of perfection, but if you’re a perfectionist junkie, then this post was made just for you. Now, there aren't too many things in this world that are perfect. But these pics will make you believe that perfection is possible. So, sit back, relax and let these images make you feel all warm and fuzzy inside. #1. Never has perfection looked as deliciously mouthwatering as this geometrically crimson rhubarb pie. While it certainly looks pretty, that’s raw rhubarb. So hopefully it still looks perfect after it’s cooked. #2. If stylists can come up with pixelated hair, then foodies can certainly come up with pixelated avocado. The detail is painstaking, but beautiful. It’s like 256 shades of pixelated green creamy goodness were used to make this. #3. Rocks have bumps and jagged edges, but this little pebble found at the beach looks absolutely perfect. It’s like a mini-hamburger patty. Looks good enough to eat actually, but you’d need a dentist afterwards. #4. Yes, we know it’s a leaf, but just look at the perfect way those droplets formed around the plant. It looks like Mother Nature was bored and decided to highlight her creation with some water droplets. #5. Chinchillas may be one of the softest and most cuddly creatures that you’ll ever get your hands on. This one’s like a round ball of fur, and it’s tempting you to bury your whole face in all that cute softness. #6. When you put these clam shells together they look like something that came out of an “Alien” movie. How could something that looks this creepy, also look so perfect and beautiful all at the same time? #7. Whoever took the time to color code their cereal in the morning is a total boss at organizing things. They took an awful long time to get this right. But we hope that they love soggy cereal for breakfast. #8. Getting the colors to transition from white to purple to blue to green to orange to red is awesome. We sure hope that the owner of the vehicles in the middle doesn’t have to rush out in an emergency. #9. It takes a master chef to leave a trail of color transition as they cut these scallions to a million bits. It looks perfect! It’s too bad that all the scallions have to get thrown into the pot to make some sauce. #10. Sometimes, it’s not the tree that’s beautiful, but rather the shadow that it casts on the ground. 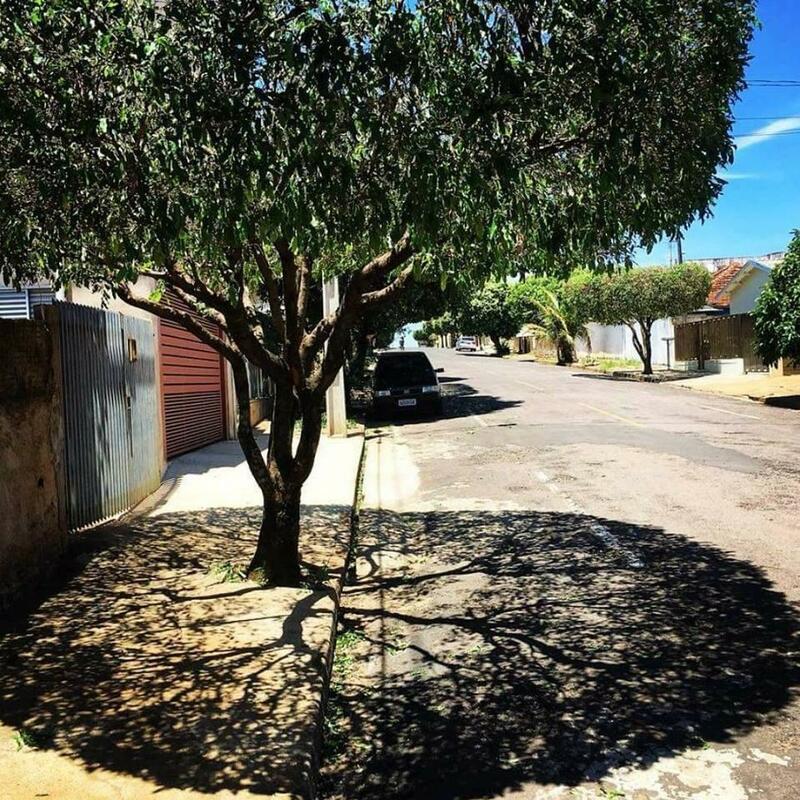 When the sunlight hit this tree at the right angle, it created an eerie and ethereal looking shadow. #11. 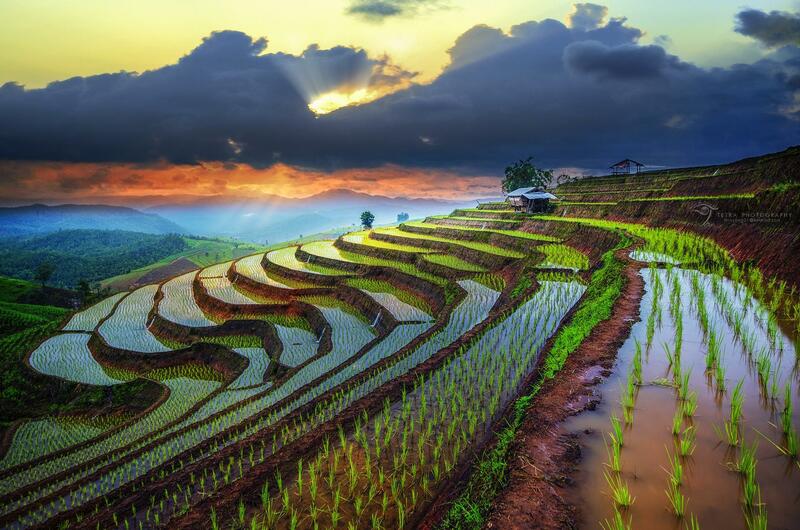 These Vietnamese rice paddies are terraced in such a way that they look almost like a natural formation. Plus, the way that the sky reflects on the water makes this entire photograph look like an oil painting. #12. Take a look at how the image on the side of the box and the front of the box form one sweet hill. It might just be sheer coincidence, but they might have designed those cookie cardboards to do this. #13. It’s so intense that the double rainbow looks like a freaking forcefield surrounding that town. It’s so bright and so vivid. It’s like the thing you expect to see in a fantasy movie after the bad guy loses. #14. Six bags of M&Ms is all it took to create this color-coded labor of love for visual perfection. Ironically, all it would take for one of you to go completely bonkers is to mix a yellow with the blue. #15. This person’s spice rack fell, and what they got was an accidental display of geometric perfection. It looks like that rack had a lot of art that just needed to flow out, which is why it fell and created this. #16. When the owners of this greenhouse placed their plants against the glass, they created true art. It looks like an impressionist painting, or an oddly satisfying pic that would make a desktop background. #17. This dog’s camouflage is oddly disturbing because the owner could totally step on him by mistake. Then again, if this dog’s owner is named Cruella, then maybe this pooch is laying on his former family. #18. Check out those spectacular skyscrapers and the way they’re piercing through the fluffy white clouds. 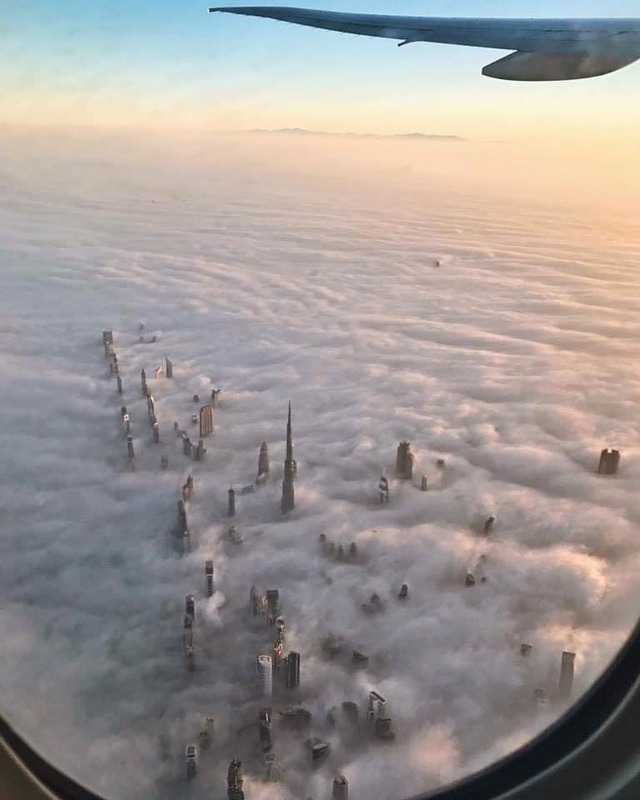 This was taken from a window aboard a plane flying over Dubai. It looks like a city floating in the sky. #19. This is the crazy, yet creative thing people do to their silverware when they have too much free time. This perfect looking metallic flower was done by someone who rearranged the spoons in their jar. #20. These seemingly fake leaves represent the colorful seasonal changes, and they make great art too. This would look great if it were turned into a loop to create a wreath. The color transitions are so calming.